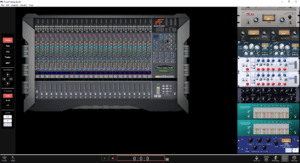 A training simulation of various audio environments in a streamlined interface. It’s purpose is to help educate and train aspiring audio professionals in studio, live sound and synthesis. ~ Mixers for all experience levels! ~ Work your way up to advanced! Follow activation instructions and enjoy! Educators – Offer stronger student comprehension through interactivity. 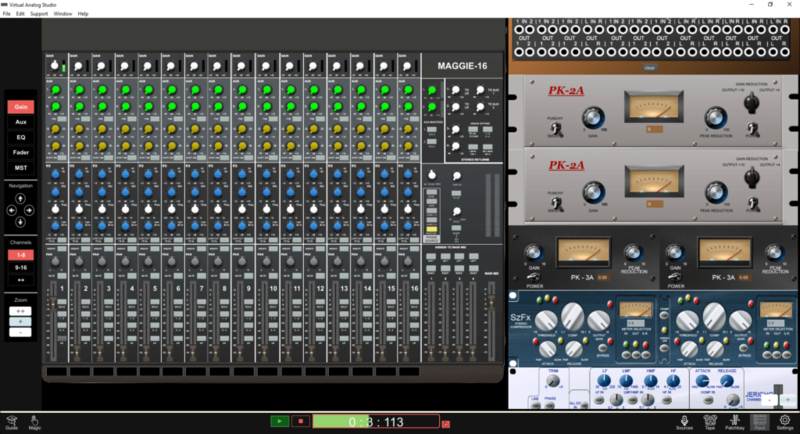 Students – Put lessons to the test in a virtual studio. Maximize lab-hours in the studio. Is this a new kind of DAW? While VAS is technically a digital audio software, many common features of modern DAWs were intentionally left out. The goal was to create an environment that mimics the workflow of traditional studios even with limitations. 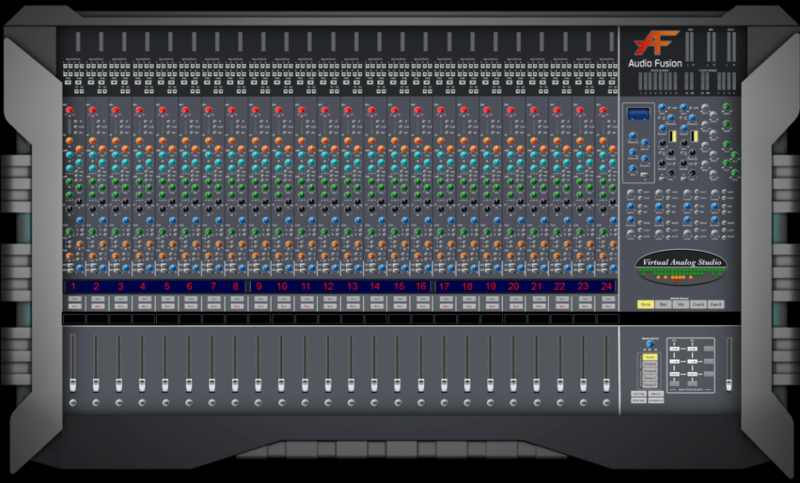 Does this work with Audio Units & VST plugins? 3rd party plugins are currently not supported in the early access trial edition. This will be in a future update. As of version 0.1.0 YES! 3rd party plugins are now supported in VAS2d! Loaded your favorite processors into the VST/AU slots in select external rack devices. Can I use microphones and instruments? Yes, absolutely! VAS will work with external soundcards. How do I activate the software? A “response code” will be generated when the software is launched. Submit that code and in return you’ll receive an activation code. Does VAS work with ~Rewire? 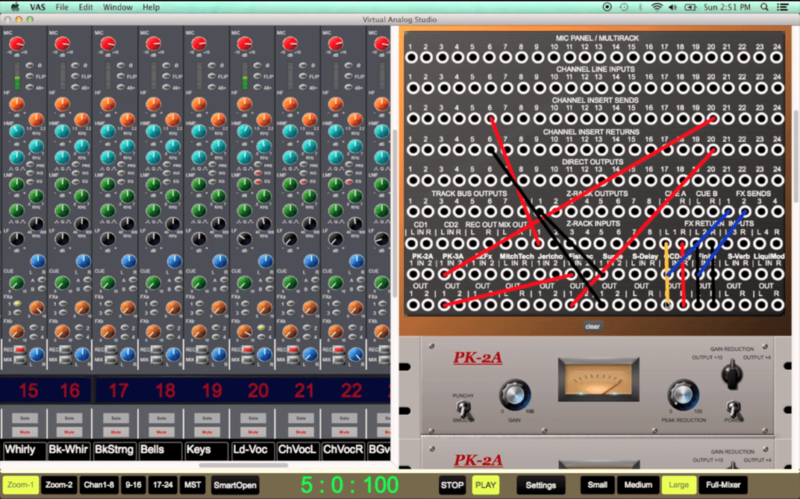 While it is not fully configured yet, IT IS possible to use VAS as a rewire master. Signal could be routed from compatible rewire slave software. In a future update, a session could be loaded as either a rewire master or slave. It could never be both simultaneously. Is this a production or education software? 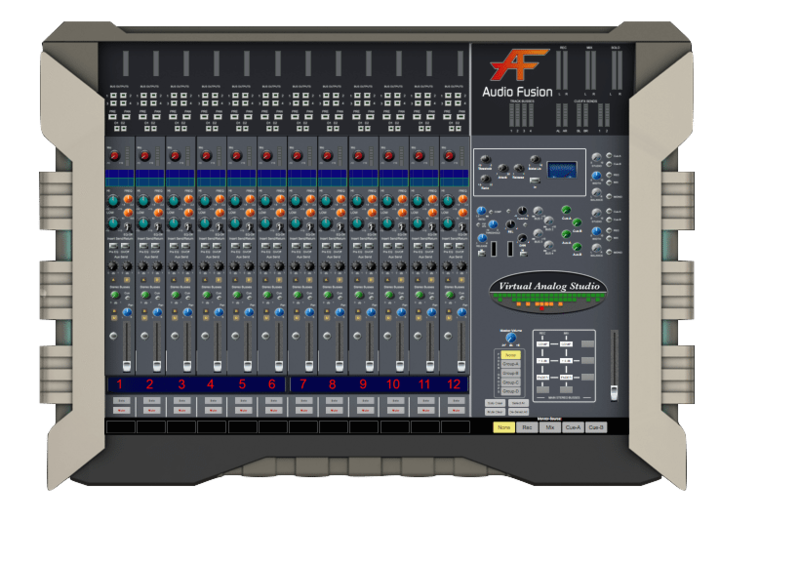 Are recording consoles in educational institutions not the same as those used in professional recording studios? While VAS has a strong educational value, it could be absolutely be used as a production tool.